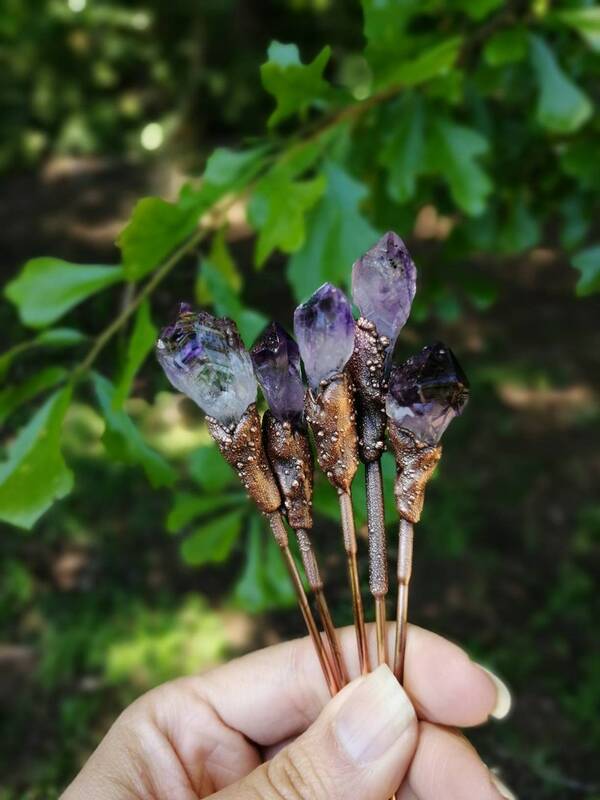 This listing features five different Genuine Gemstone Copper Electroformed Hair Sticks. Please look at each image since, these are numbered and you will need to choose which one you would like. You are able to purchase more than one. Each Pin or Hair Stick measures 6' inches long including the Gemstone. It takes approx. 48 hours to make one of these beautiful and unique hair pins, The stones are attached in a way that will last many years and the stone should not fall out. The raw amethysts are from Uruguay, the country with the best Amethyst quality.